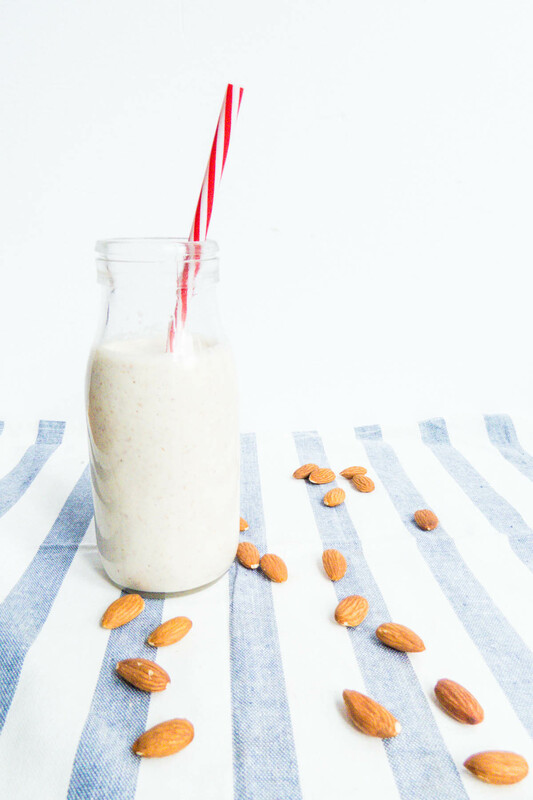 Thick Creamy Almond Milk will become your new favorite coffee BFF. Mixed in with freshly brewed coffee, the nutty almond flavor shines through and makes you smile in the morning – perfect for that long day ahead of you. I have no clue what happened, but September hit Montreal and so did the cold. Usually, we get to enjoy summer-like weather all the way to about the third week of September! But with this coldness, which I don’t love but I could like at times (fires, cozy sweaters and blankets, apple pies, hot drinks, pumpkin spice…), I find myself wanting to reach for a good cup of coffee much much more – even though I probably shouldn’t – to ease the pain of the cold and the looming fall/back-to-school (even though I schooled through the summer) depression. When it comes to coffee, I drink it with a touch of milk or (yes I’m one of those) in the form of a flavored latte… but most of the time I do not like the fact that some can pack about 500 calories, which if you’re trying to stay on a 2000 calorie per day (-ish) regimen means that a quarter of your daily intake is lost to your latte – GASP! This is where almonds come into play. 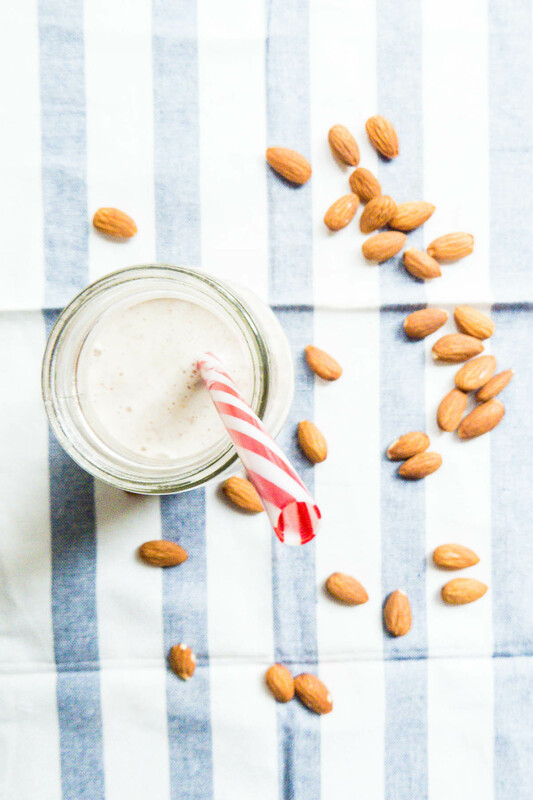 And almonds can make thick creamy almond milk – a BEAUTIFUL, lactose-free, Godly, delicious and easy addition to my favorite morning drink: COFFEE. Mix a tablespoon or two into your coffee and your laughing with delight, or mix it into your coffee with a blender and get a frothy latte-like delight. The key to all this amazingness? 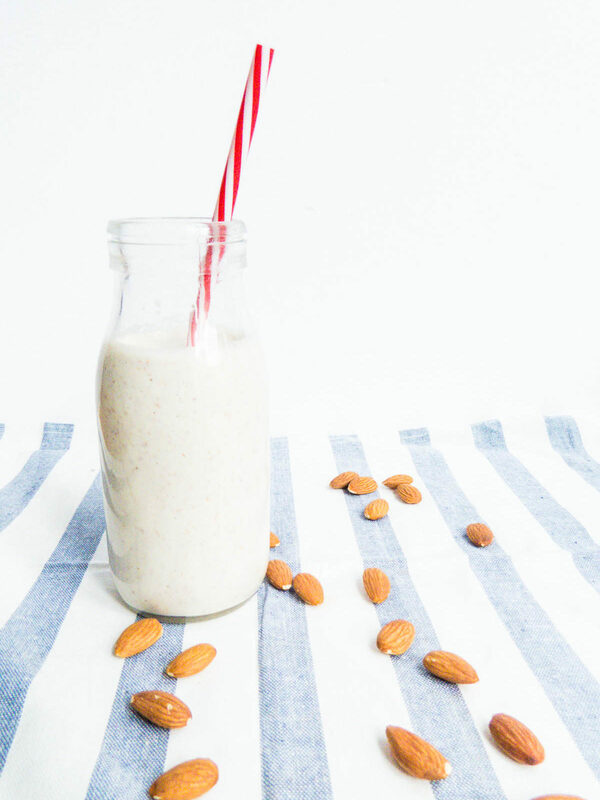 Almonds, water and a very good blender – THAT IS IT. 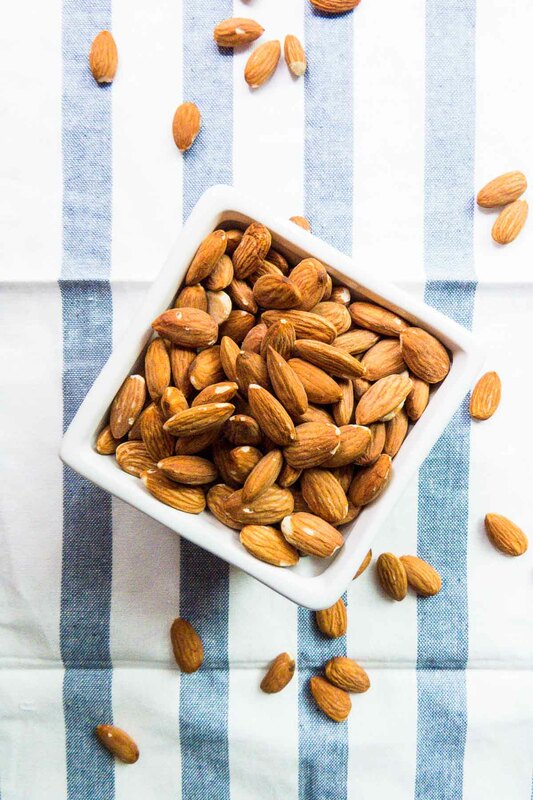 The day before making the almond milk (aka on the weekend and therefore prepped for the week) soak one cup of almonds in one cup of water. 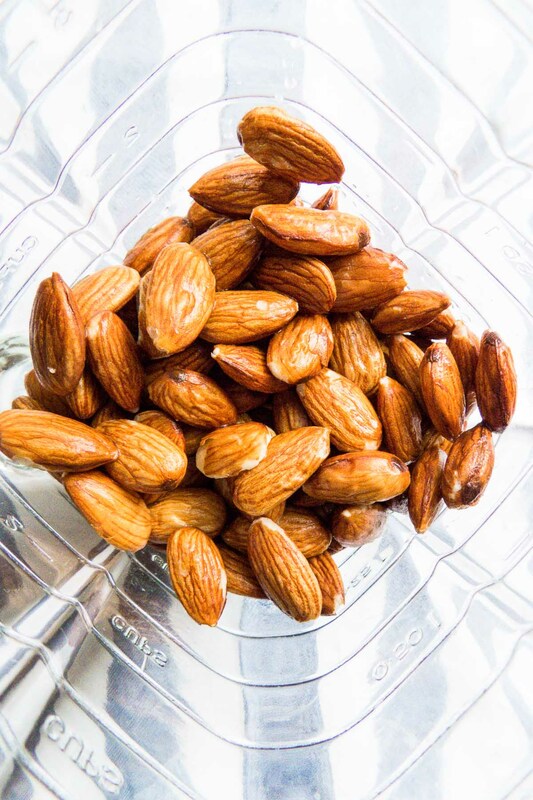 If you think this will make too much, don’t want to sacrifice that many almonds… no problemo! Just make sure it’s one volume almonds to one volume water and that the almonds are well covered. Also, I’ve tried no soak, quick soak and an overnight soak. I think an overnight soak is the best bet.. lets the almonds soften and be prepped for blending (especially necessary if your blender might be sub par). I completely invite you to try different methods tho! 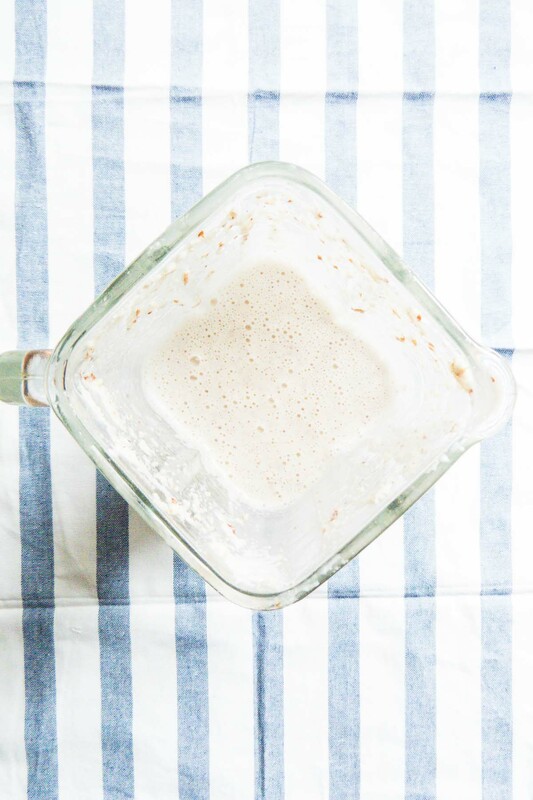 After an overnight soak, rinse well and add to your blender, adding two cups (or two volumes) of water and then BLEND! I just left mine going for about ten minutes. Look at that beautiful thick (because the almonds are still in there!!!) CREAMINESS!!! All the yums happen when you pour this thick liquid into your storage container. 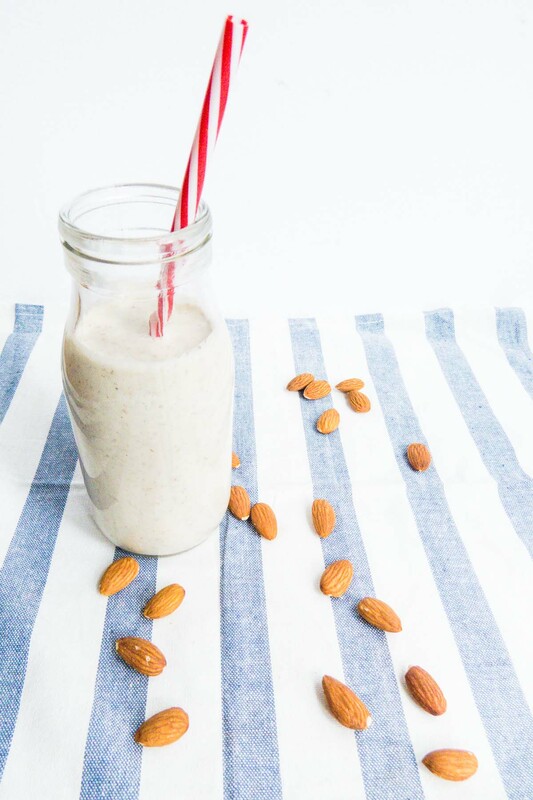 As you use it during the week, the almonds might soak up more liquid making it thicker and not pourable. This is ok, just add more water to the container shake it up and you’ll be good… or (ya know) just plop it into your mug of coffee.. same difference, right?! If you want to drink it as is, do it the day you blend it all together and perhaps add more water to the blend. You might also want to add a bit of honey or your favorite sweetener. But it will be very thick still, so another option: strain using cheesecloth and squeeze to get it all the nice almond flavored milk out. Anyways, this dreamy thick creamy almond milk is my new addition to my morning routine… leaving my regular (lactose-free) milk jar behind! 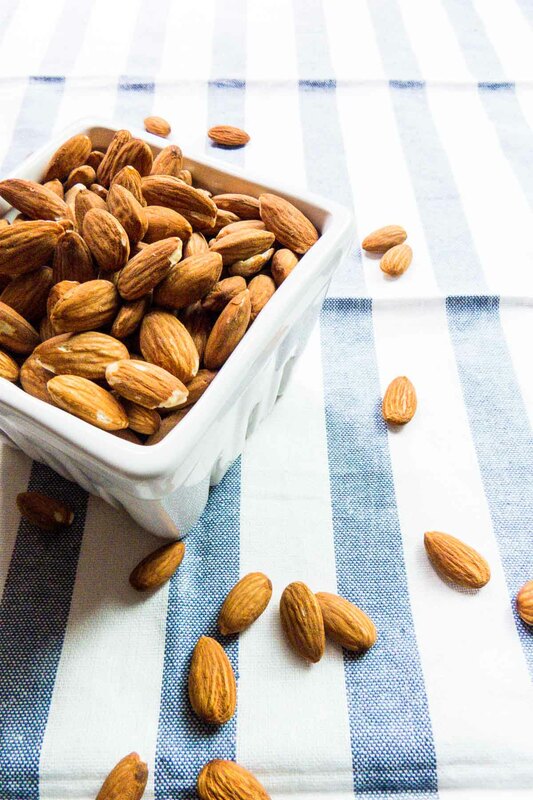 In a bowl, soak the almonds in 1 cup of water and let sit on the counter overnight. 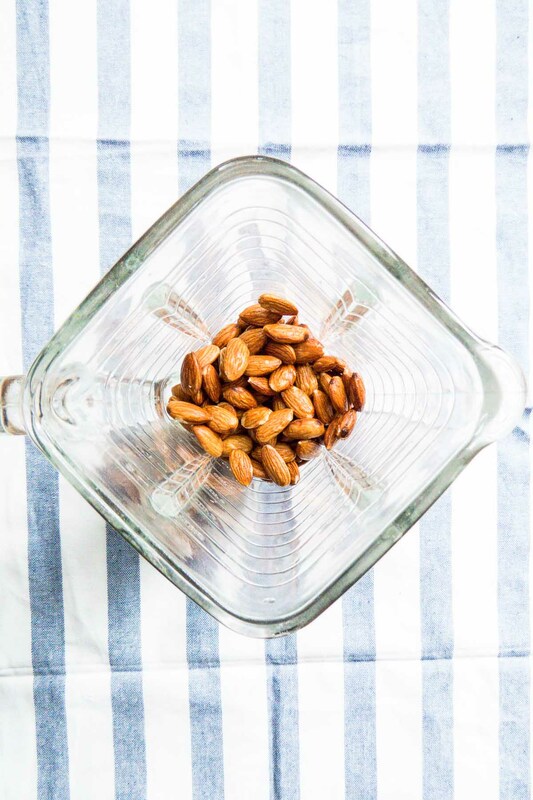 The next day, rinse the almonds and blend with 2 cups of water. Start at a low setting and work your way up to maximum speed, blending at maximum for about 10 minutes. 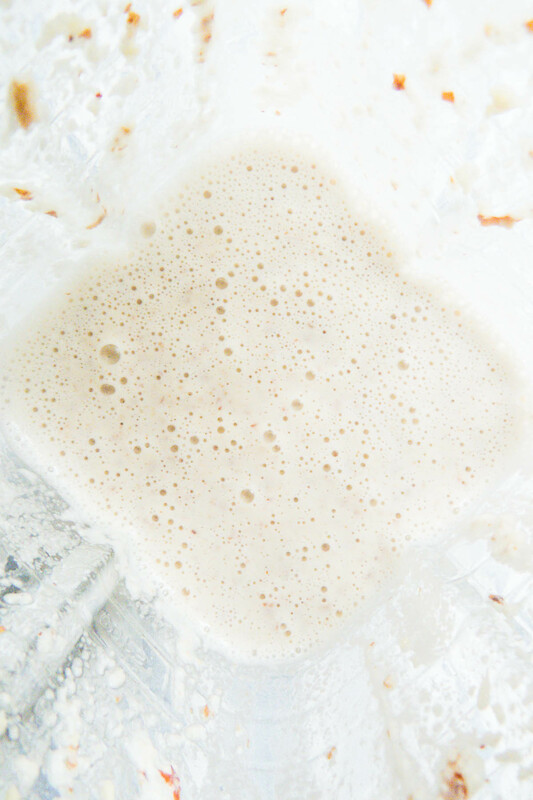 Use in coffee or store in an airtight container for a week. Having a good blender is key for this recipe or else the almonds will not get small enough and will leave a gritty texture behind. If you don't have a really good blender, no problem! Strain the blended mixture through cheese cloth and squeeze the milk out really well; it will taste the same just not be thick. I'd also try letting the almonds soak in water for as long as you can!